The proposal involved removal of an existing single storey rear extension which was of low quality and replacing it with a full width, single storey extension which utilises ground level differences to sink the new structure massing when viewed from neighbouring properties. 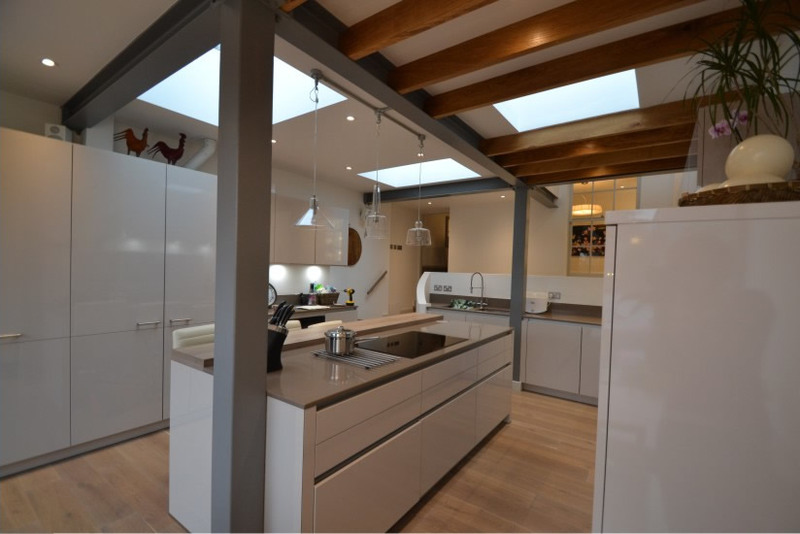 At ground level, the new open plan space provides a large open plan kitchen with island unit and a dining area to the rear which opens out onto the rear garden. Within the listed building itself, a major refurbishment took place within all rooms and the existing en-suite over the staircase was extended to create a larger master bathroom.